It takes one hit song to be remembered forever. Mohammed "Munna" Aziz, who died of a heart attack yesterday, had more than one. In fact, before Kumar Sanu, became the hit machine that he did in the 1990s, Aziz was the big hit machine of Hindi film songs, in the late 1980s. I discovered his existence in the summer of 1989, which like all summers was, very hot. Confined indoors and with exams out of the way, and with my recently discovered love for Vividh Bharti and Hindi film music, the only song that I could hear being played everywhere was: "My name is Lakhan". It was playing on tapes, mixtapes (ah that 1980s thing ) and even being blasted out loudspeakers, on half an opportunity. In fact, when CDs started replacing tapes, I took my time to move to them. (I was buying cassettes as late as 2005 and 2006). And once I had moved to CDs one feature that got me really hooked on to them, is that one did not have to rewind a song, if one wanted to listen to it over and over again. This is a feature that has stayed with MP3 players and now streaming music. 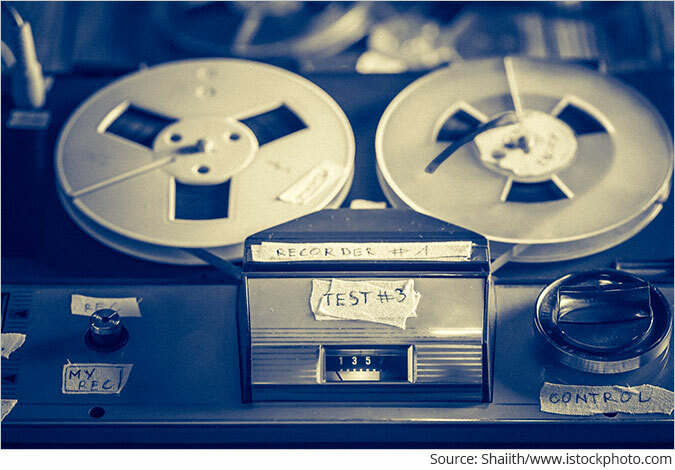 There even came a time that I loved a song so much that I recorded it one after the other on one side of a tape, so that I could listen to it over and over again, without having to rewind it. The song was called Shilo and was sung by Neil Diamond. I was always a very curious reader, and even read cassette covers with great concentration. I soon discovered that the main playback singer of the my name is Lakhan song happened to be someone called Mohammed Aziz. Aziz had been around for a few years. It was just the first time I realised who he was. In fact, of the three singers who had tried to inherit the legacy of Mohammed Rafi, Anwar was by far the best singer of the lot. His voice was the least nasal. The other two singers Aziz and Shabbir Kumar had extremely nasal singing voices. 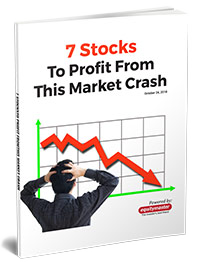 And she has put together a special report, 7 Stocks to Profit from This Market Crash, to share with her subscribers. Here's how you can join them and claim your FREE copy of this report now. If you get in now, you can even claim an additional year of access to StockSelect, absolutely free. This offer ends promptly at 11:59 PM, 30th November. But of the trio, Aziz sang the most songs and some of these songs were the biggest hits of the 1980s (which as per conventional wisdom was not the best decade for Hindi film music, but when one listens to the rubbish being produced now...). And Aziz is an excellent example of why success is not just about talent and hard work. It is also about being lucky and being at the right place at the right time. Mohammed Rafi died in July 1980, but the fascination that Hindi film music directors had with his voice did not end with his death. Thus, began the search for someone who could sing like Rafi. For various reasons Anwar did not get many opportunities. Shabbir Kumar had his share but soon lost out to Mohammed Aziz, who over a period of time started singing all Rafiesque songs still being composed by music directors. Dear Reader, you must be wondering by now, why I have chosen to write on a playback singer whose best years were nearly three decades behind him. Well, Aziz was a very important part of my growing up years and in particular the summer of 1989, where given half an opportunity one would be dancing to the tune of my name is lakhan. While Bryan Adams had the summer of 69, I had my summer of 89, and those were the best days of my life. This was an era before cable television and mobile phones and we lived in a town which had power cuts all the time and music and radio was usually the only regular source of entertainment. And Aziz with all this hit songs was a very important part of it. He sung some of the biggest hit songs of the 1980s and early 1990s. From Mard tangewalla to jaane do jaane do mujhe jaana hai to main teri mohabbat main pagal ho jaaonga to tu mujhe kabool main tujhe kabool to lal dupatta malmal ka to imli ka boota to tu kal chala jaega to main kya karunga and so on. Every time someone who was a part of my growing up years dies, I feel a part of me dies along with it. One does not die the day that one dies, but one dies slowly, every time someone who was a part of one's influential growing up years, dies. And Aziz was a part of those years of my life. His songs, some of which might sound very tacky now, were the songs I grew up on. This is where I come from... And as flakey as it might sound... these are my roots. And it is important to keep going back to one's roots even if it's someone's death that leads us back there. (In fact, Jagjit Singh's death send me into a minor depression). Not a terribly happy thought. How about listening to "1, 2 ka 4... 4, 2 ka 1... my name is Lakhan". Aziz's career started to fizzle out in the 1990s. This happened after Kumar Sanu became the new poster boy of playback singing in Hindi cinema. Sanu, a Kishore Kumar clone, was like Aziz an average singer with an extremely nasal voice, but he made it big. This was primarily because Amit Kumar, Kishore's son, decided not to sing due to various reasons (I still wonder what if Amit Kumar had sung the songs for RD Burman's swansong, 1942-A Love Story). Rather interestingly, Sanu started as a Kishore Kumar clone (or what the Bengalis call a Kishore Konthi) singing covers of Kishore songs for the music company T-Series. Recently, Sanu became a Kishore Konthi again and sang the cover versions of hit Kishore Kumar songs for the Bengali film Kishore Kumar Junior. Life thus came a full circle for him. His averageness finally having caught up with him. In fact, of all the male playback singers who became famous in the 1980s, the one who lasted the most was Udit Narayan Jha, literally proving his Papa right. Getting back to Aziz. As I sit and write this, it's 2AM in the morning. I haven't heard Mohammed Aziz songs regularly in many years. Perhaps an odd song here and there. I have always thought of him as an average singer who got lucky, by being at the right place at the right time, and probably having better PR than his competitors. But I am still feeling depressed at this death. I don't know why, but that's the way it is. What do I do? I guess I shall listen to jannat ki baharo se na pariyo ke muskuraane se, dil behalta hai mera aapke aa jaane se from the 1987 movie Khudgarz, the most danceable Hindi film song ever, at full blast. The neighbours be dammed. Or I sincerely hope they will understand. The summer of 1989 will return in the summer of 2018. Well it's November and still summer in Mumbai. We request your view! Post a comment on "Mohammed Munna Aziz and the Summer of 1989". Thank you for posting your view! 6 Responses to "Mohammed Munna Aziz and the Summer of 1989"
Mr Kaul, It was nice to read a column from you which is not about material world and about a bollywood singer - Mohd. Aziz. He gave many hits songs during that time period. A noticable one that has kept me inspired through life ups and downs is " Ek Andhera , laakh Sitare; ek nirasha, laakh sahare" from "Akhir kyon". For a change it was nice to know about your other interests ! sir, you write good articles sometime on music/songs! I like it. Pl continue. your feelings expressed, I am impressed by that. There are many better singers to listen. in old singers, try hemantkumar the great. Beautifully Narrated !! In 1989 I was 19 years old !! In 1990 "Maine Pyaar Kiya" was released !! Please bless us with a write up on MPK ! !